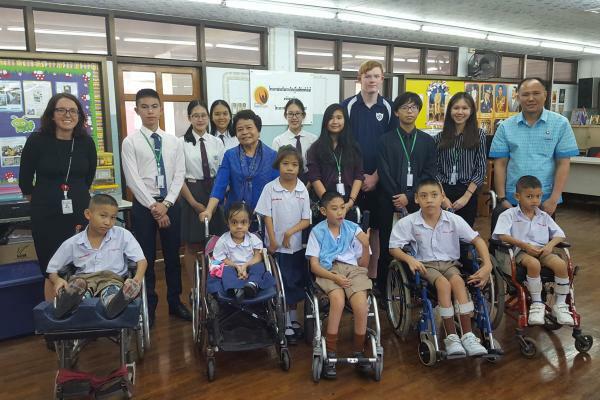 On Friday 10th November, our Secondary Student Community Service Committee and another four of our Sixth Formers visited the Foundation for the Welfare of the Crippled. The Foundation provides educational and medical support for about 250 physically disabled students in Primary and Secondary schools. Just over 100 of these students also board at the school. The aim of the visit was to build on our partnership and establish more regular volunteering activities both within CAS and Sixth Form PSHE lessons. The students received a tour of the school facilities and met with students and staff at the school. 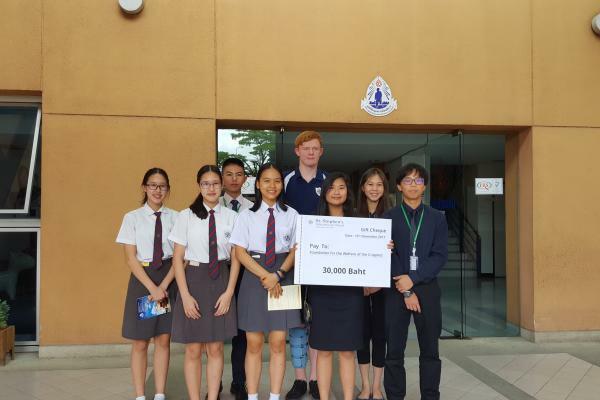 We had the privilege of meeting the School Manager and are now in the process of setting up monthly English lessons at the school that will be led by St. Stephen’s students. We have also agreed to help in other ways by proof reading and translating for their publications and websites and helping to sell crafts made by the physically disabled students. 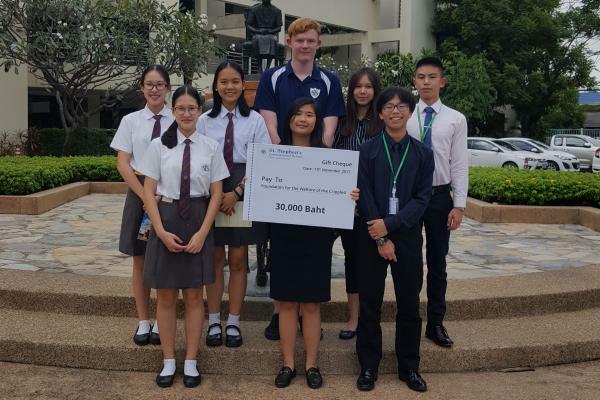 In addition to this community service we made a 30,000 baht donation from our community service fund. This was from money raised at our last Bikeathon.